Are E-Commerce Site UX Issues Killing Your Conversions? Topic: "Empowering Women to Succeed Professionally through Entrepreneurship"
Genecia Alluora Luo is a former Miss Singapore and recipient of South East Asia Woman of Excellence 2010 and a founder of Queenz8 Business Group with 10 years of solid business experience in the fields of e-commerce, beauty, co-working spaces and F&B. 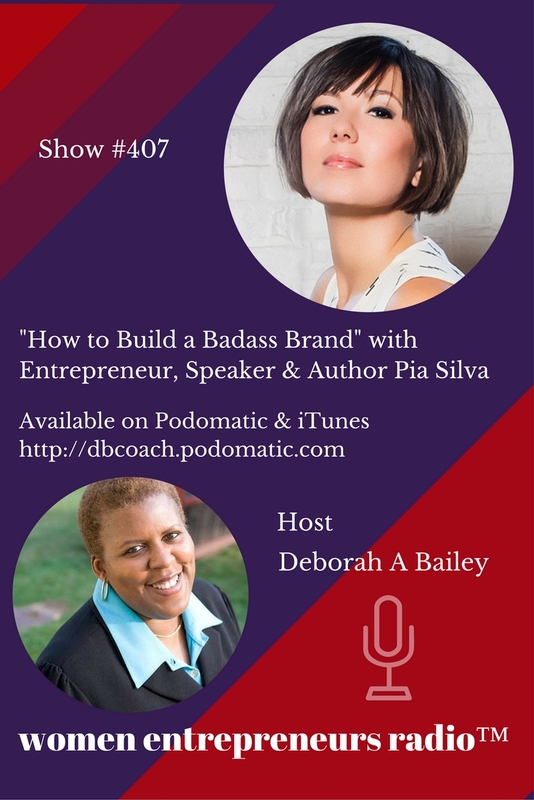 She is also the founder of Soul Rich Woman and a public speaker on the subjects of social media, entrepreneurship, brand building and e-commerce. 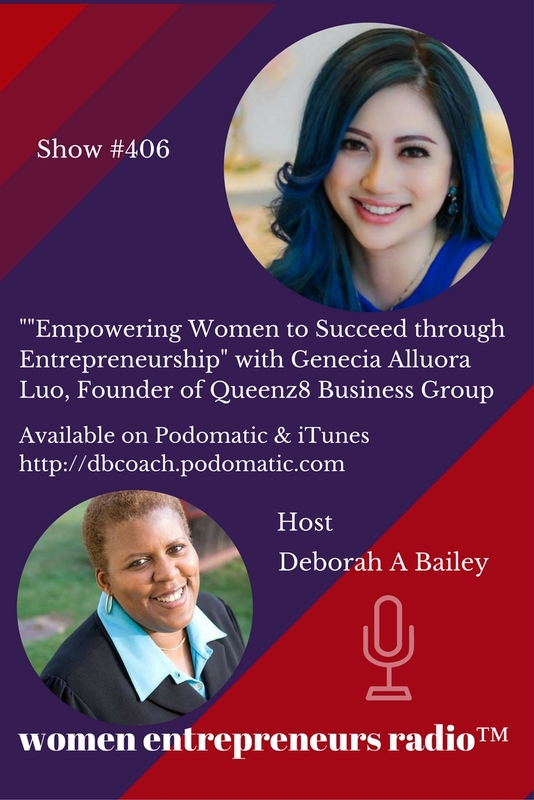 As a business mentor to 8000 women at Soul Rich Woman, Genecia empowers them tin the areas of health, wealth and happiness with the mission "I create my life." 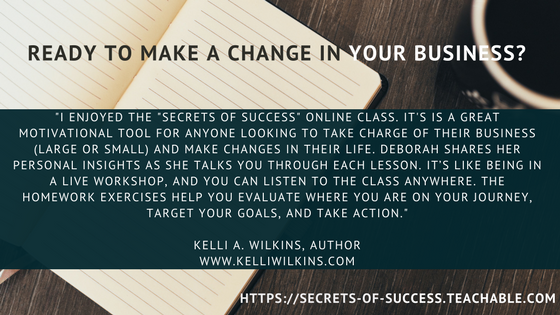 She shares daily business and marketing advice to help aspiring businesswomen 1. attract more leads and customers, 2. increase and double sales and 3. maximize profits for business growth. 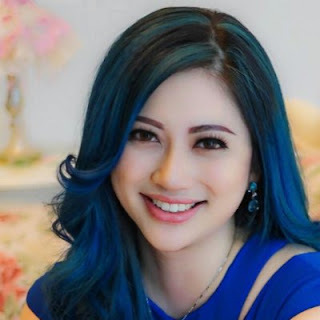 Soul Rich Woman also teaches women to leverage on the internet to earn money to invest and create passive income structures so that they can win the money game, become financially free adn have more time to pursue their passions in life. 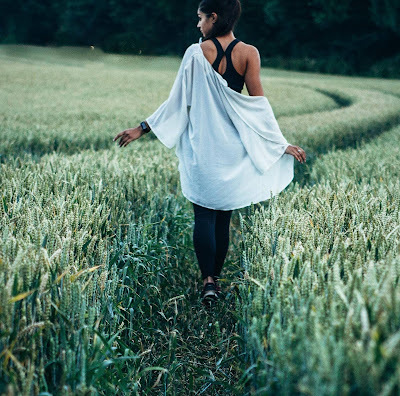 Soul Rich Woman Mastermind community is a collaboration of like minded, sassy, and forward-thinking women that showcase the authenticity of being healthy, wealthy and happiness. Women who are united in the goal of raising the bar and revealing the brilliance of working less, living more, loving a rich life and pursues their dreams. A Soul Rich Woman will take everything you’ve learned about the building a profitable online business and flip it – right side up. By the time it happens, you’ll gain a fresh perspective on this industry, and a brand new outlook on…yourself. 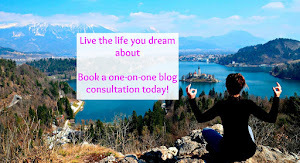 To dispel the misinformation surrounding women in Asia fulfilling a more laid back, submissive, family role, instead, she explains how regular women can live a life of freedom, choices, happy, healthy lives while building a business which can produce RICH income, both courageously, and confidently! Women increasingly desire flexible work schedules that free them from 9-to-5 obligations, enabling full participation in their personal and family lives – and control of their own destinies. Numbers confirm it: Women-owned firms account for 31 percent of all privately held firms, contributing 14 percent of employment and 12 percent of revenues. 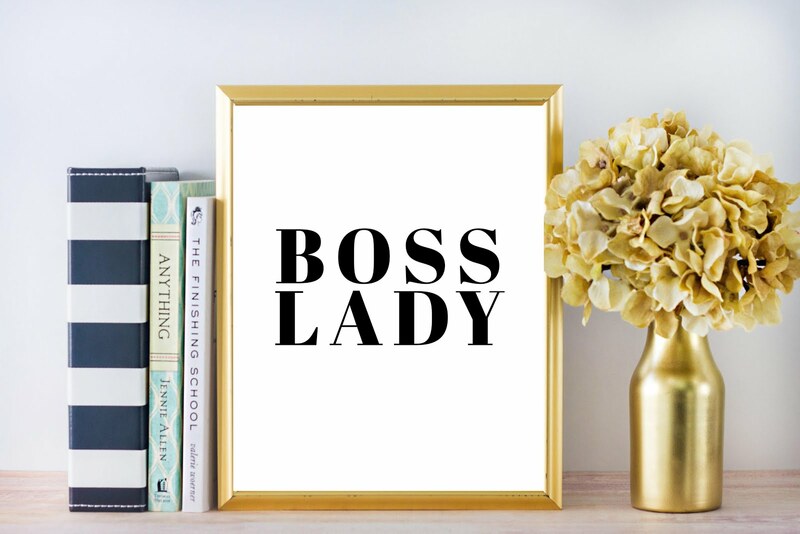 NAWBO, the National Association of Women Business Owners, says that more than 9.4 million U.S. firms are owned by women, employing nearly 7.9 million people and generating $1.5 trillion in sales. Whether they are millennials or moms who’ve temporarily taken a break from the workplace, savvy female entrepreneurs know that hard work is not enough to ensure success. Not only must business owners be on-call 24/7 and reinvest precious profits to grow the business, but they also must invest wisely for the future. In a Money Tips column from U.S. News.com, Kimberly Palmer warns women to learn to manage their money at every stage of life. That guarantees they can develop and stick to a budget, know the importance of emergency and retirement funds, and understand the costs of education and home ownership. Palmer notes that early in their careers women must capitalize on their earning power, never passing up opportunities to move up, work more hours or request more pay. If they are in a relationship, women must not let it sabotage their savings. Discussing money early and often ensures that potential partners are on the same financial page. Most of us have three sources of money: Savings, a pension or retirement savings plan, and Social Security. Because women sometimes take time off to raise children, they often have lower incomes, which makes it critical to save money. While risk-taking benefits businesspeople, new investors must keep things simple. “Spread your eggs among many baskets, keep fees and taxes low and tilt the odds in your favor with indexed mutual funds and exchange-traded funds,” Brown advises. 1. Crunch the numbers. “Women with high-growth companies really ran the business by the numbers, understood cash flow, and had a handle on balance sheets,” Coyne says. If this doesn’t sound like you, a mentor, business partner or accountant may be in order. 2. Form an advisory group. Working with other business owners can help women learn about finances, marketing and management. 3. Remember, this is business. “Women business owners treat employees like family and are slow to make decisions around staffing,” Coyne notes. 4. Make use of contract workers. Many women who want to expand use contract workers instead of hiring full-time employees. It’s the perfect time for it, since so many talented professionals have been displaced by the market and are looking for work. 5. Embrace new technologies. Electronic deposits and transfers are time-savers and social media can be a no-cost way to reach new customers. · Business mentors or coaches are helpful. 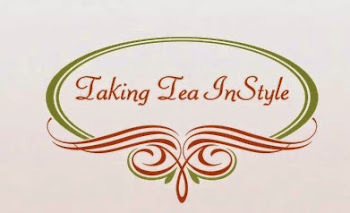 They offer seasoned experience, business acumen and expert connections. 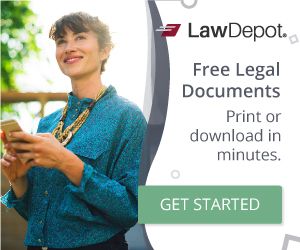 · Bookkeepers and tax preparers can save owners time and money, keep the business organized, ensure the proper deductions and avoid unexpected tax bills. 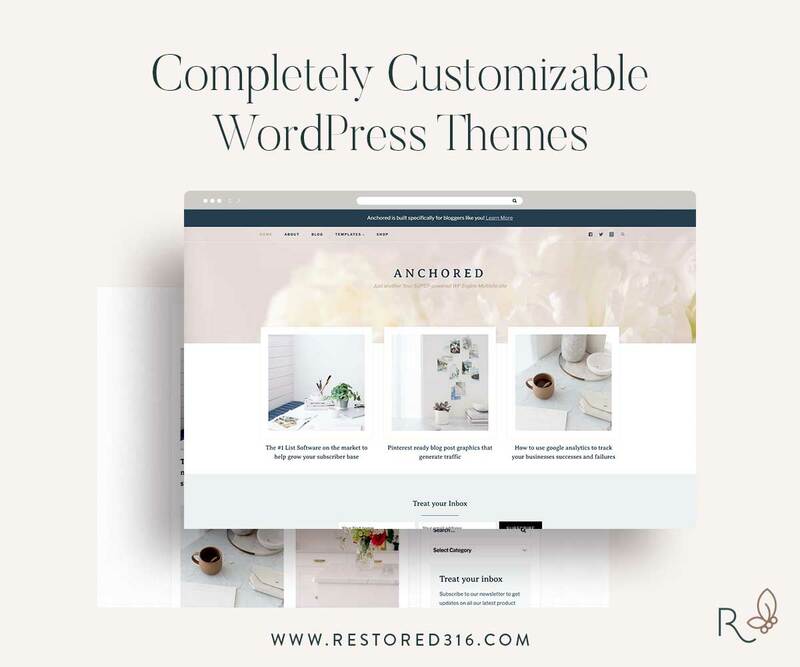 · Experienced web designers – or even budget website builders like Squarespace.com – can help ensure that the business website makes a good first impression and serve customers well. 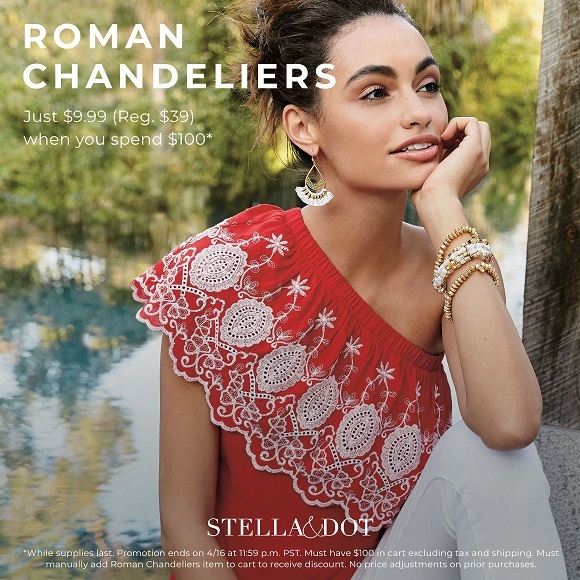 · Marketing specialists, such as skilled freelance copywriters or graphic designers, can create and maintain a visual brand, write scintillating copy and design usable brochures, case studies and blog posts. Quality marketing materials translate outreach into sales. · Administrative tasks swallow up too much time. Consider outsourcing work like scheduling, customer service, packaging, social media marketing and correspondence. “Make more time in your day to be the visionary instead of the workhorse,” Aliche advises. Investments needn’t be complicated or even costly. 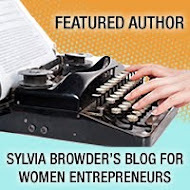 Smart women business owners can use the funds they have right now to begin investing wisely. And, as they pay off debt and squirrel away emergency funds, they can consider making more money immediately by requesting the higher salaries they deserve and charging more for their stellar professional services. 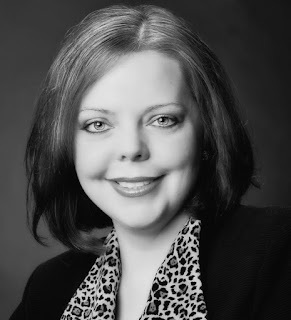 About the Author: Samantha Paxson is the Chief Marketing and Experience Officer at CO-OP Financial Services, a financial technology company for 3,500 credit unions and their 60 million members. 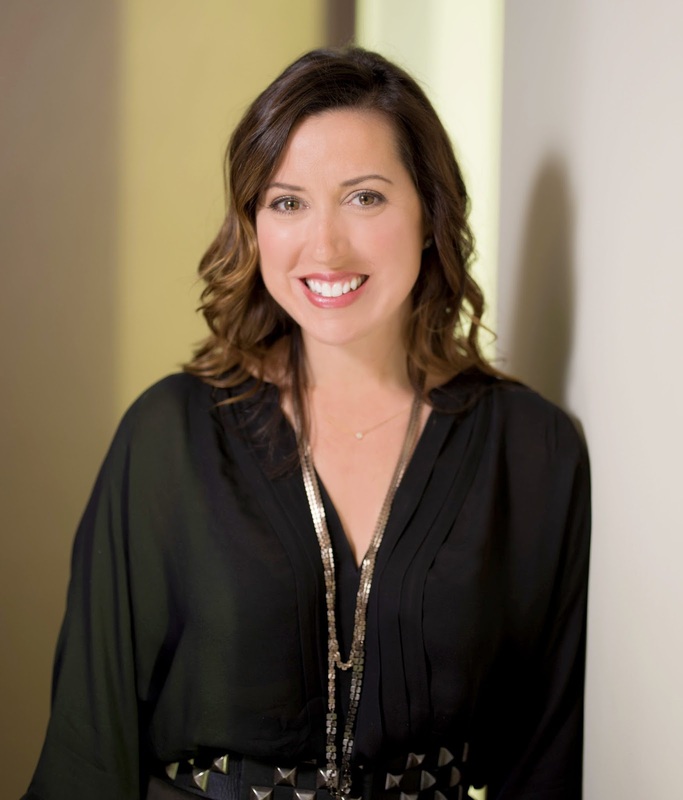 She is the architect of the company’s go-to-market strategy, managing the ways CO-OP’s brand experience is delivered through message, product and value chain. Samantha is also the Founder of THINK by CO-OP, an innovation content platform empowering the evolution of mission-driven financial services. 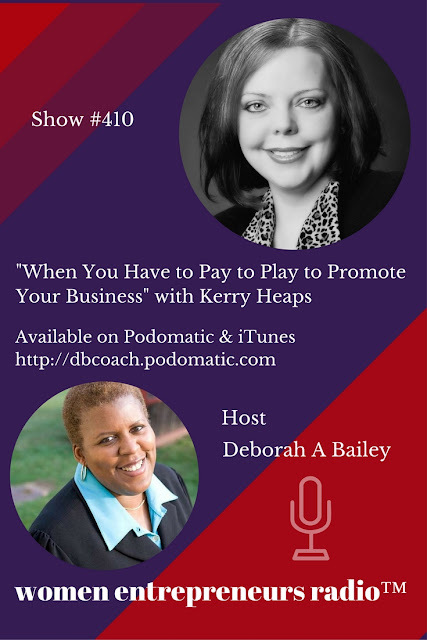 Topic: "When You Have to Pay to Play to Promote Your Business"
In part two of their previous conversation about having to "pay to play" to stand out on social media, returning co-host Kerry Heaps joins Deborah Bailey to discuss the challenges of paying for promotions and advice. Has "free" finally run its course? Have you ever felt stuck in the same professional situations, relationships or financial circumstances? Do you feel like you’re going through the same things over and over? When you live in the state of “what was” you’ll always repeat the same experiences. Be open to new things coming into your life. But don’t assume that you’ll have control over how they’ll come. Letting go of control is the hard part, though. When you’re open, you can recognize opportunities and not be held back by your limited expectations. Think about it. If you judge every new situation by what happened in the past, how can anything new enter your life? If it’s new and unfamiliar, there’s no past experience to base your expectations on. Unfortunately, for some of us the unknown and unfamiliar must be bad. For some people anything foreign is instantly rejected. Not because it’s negative, but because if they can’t fit into their existing paradigm, they can’t deal with it. Or they react in fear or anger. Maybe you’re afraid that the new opportunity, love interest or financial windfall is really too good for you. It’s different than what you’ve had, so it must be a mistake. It can’t be real. So to protect yourself, you push it away. That way you won’t be hurt when it fails. That’s how people sabotage relationships, career and business opportunities, financial wealth, weight loss–you name it. Instead of moving forward into something new, we hold on to the familiar patterns. Even if the old habits don’t work, we keep doing them–all the while expecting a different result. The person you are today is because of all the stuff you went through before. The good and the bad. Don’t beat yourself up about what you “should” have done. You did the best you could with the knowledge you had at the time. Create a vision of what you want, and don’t shut out the new and unfamiliar. Be willing to take a chance on something that you’ve never done before. Learn from the past, but don’t stay stuck there. 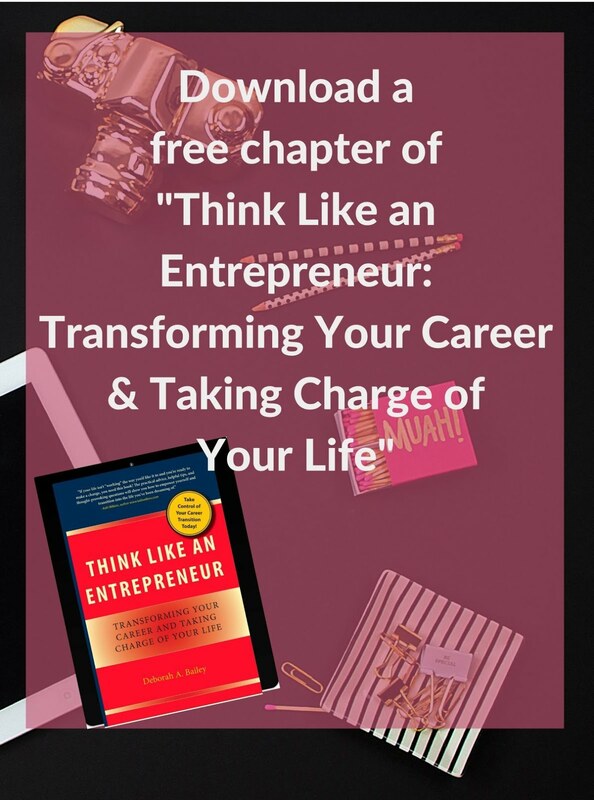 Based on a chapter from: Think Like an Entrepreneur: Transforming Your Career and Taking Charge of Your Life. 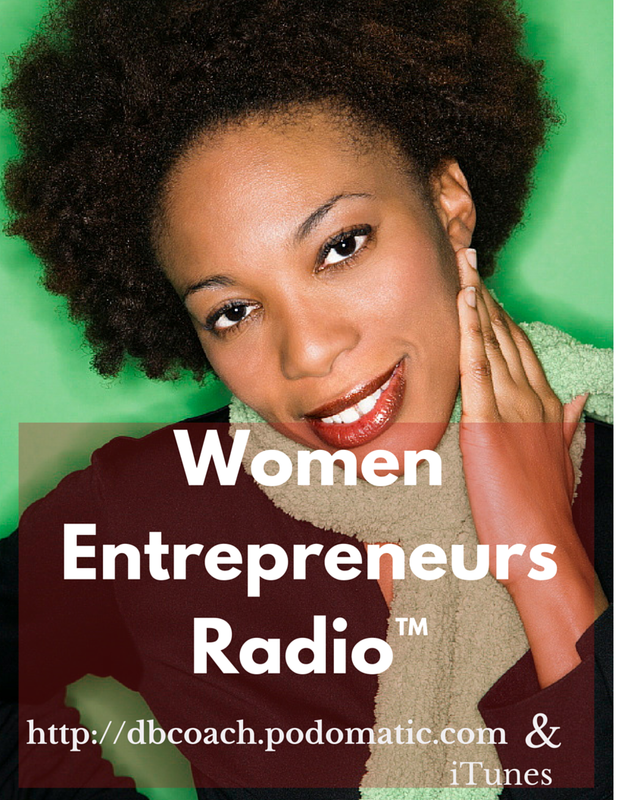 Topic: "The truth behind putting your business on "auto-pilot." What are the pro's and cons of putting your business on auto-pilot? How does this affect closing the sale? Why is contact with your prospects so important? 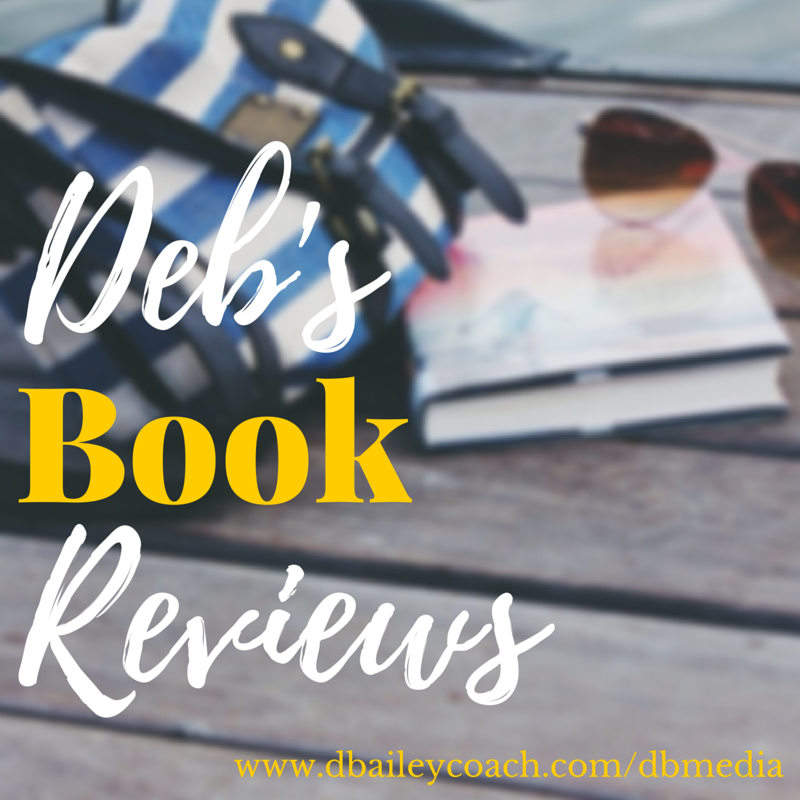 Deborah and Kerry discuss the pros, cons and everything in between. Kerry Heaps is the Founder and President of Kerry's Network, Inc., a membership-based organization that provides exposure for business owners with access to the media and association directories. She's also the publisher of Strictly Marketing Magazine and the host of Strictly Marketing Talk Radio. Kerry has an extensive background in Sales, Networking, Recruiting, and Training. 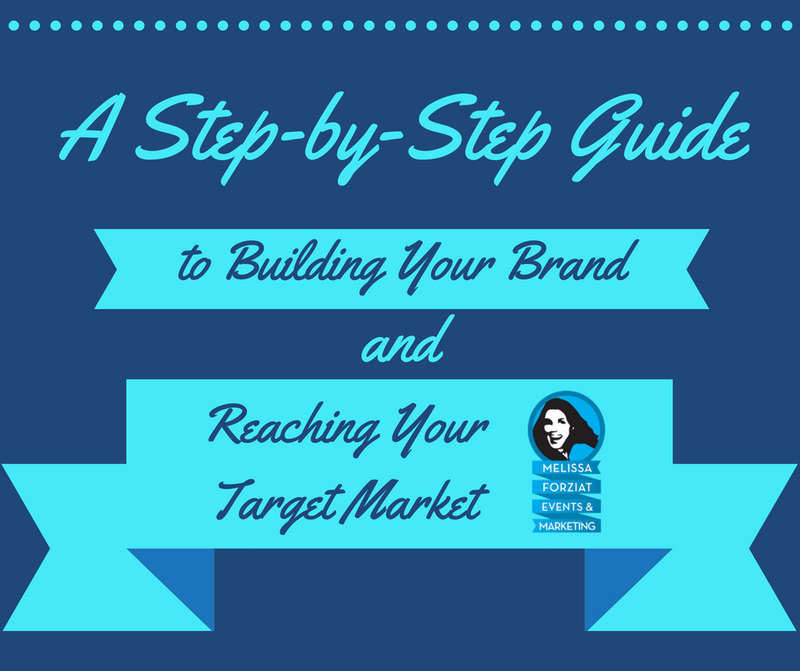 Her marketing development book, Marketing Ideas that Make Sen$e covers networking, cold calling, establishing yourself as an expert, creating your own media, marketing ideas and sample scripts. 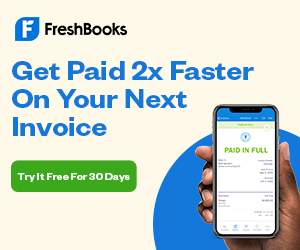 A few weeks ago Intuit contacted me to give my tips on how small business owners can navigate financials (and Tax Day in particular). You can read more about that in this post: 5 Tips to Stop Stressing Your Financials When You're an Employee & a Business Owner. This infographic sums up the tips from all of the contributors, along with sharing some interesting stats. 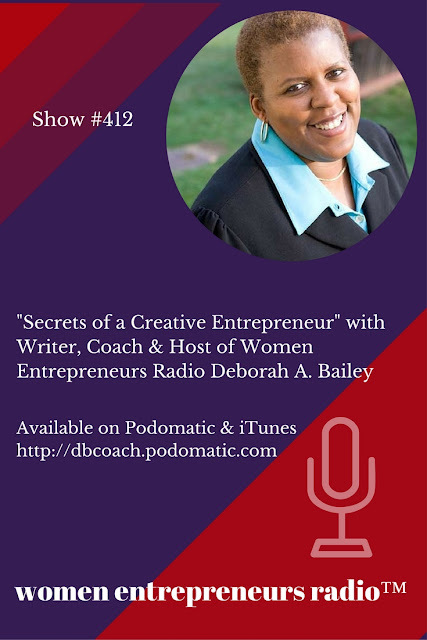 Topic: "Secrets of a Creative Entrepreneur"
Deborah A Bailey (host of Women Entrepreneurs Radio) is also the guest for this episode. 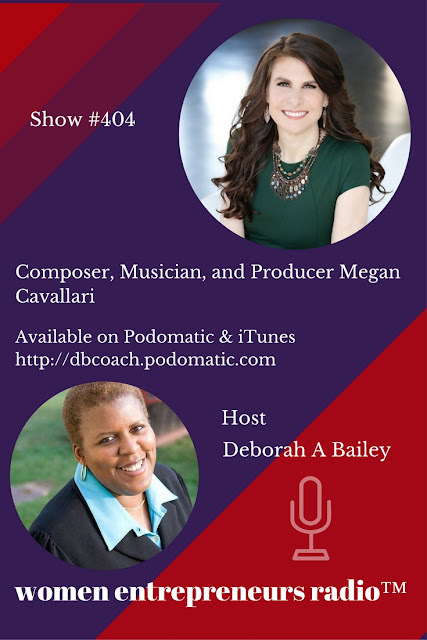 Deborah shares her inspiration for the show, what's coming up, and her thoughts about why entrepreneurs have to stop following the crowd if they want to break through the online marketing noise. 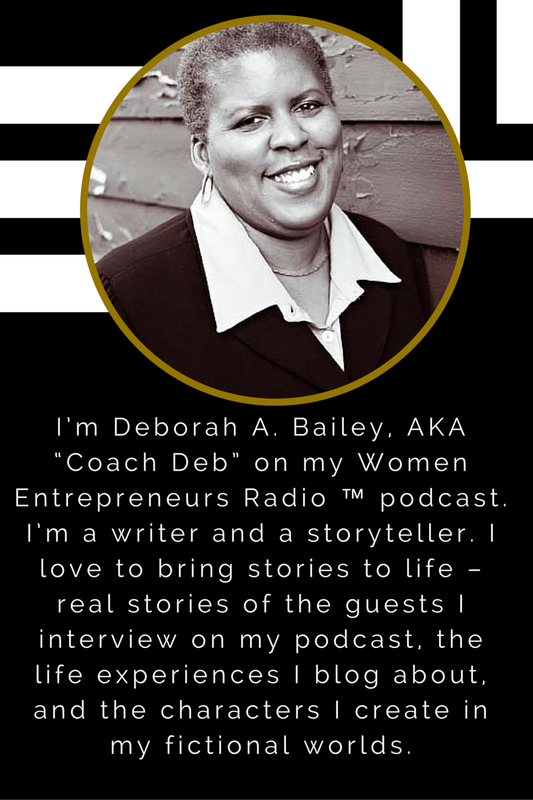 Deborah is a writer, coach, author of several fiction and non-fiction books and creator and host of the Women Entrepreneurs Radio™ podcast and founder of Deb Bailey Media. 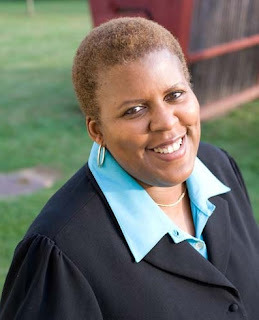 Her bylines have appeared in Baseline magazine, Dailyworth.com, Bankrate.com, More.com, Working World Magazine and CNN.com. 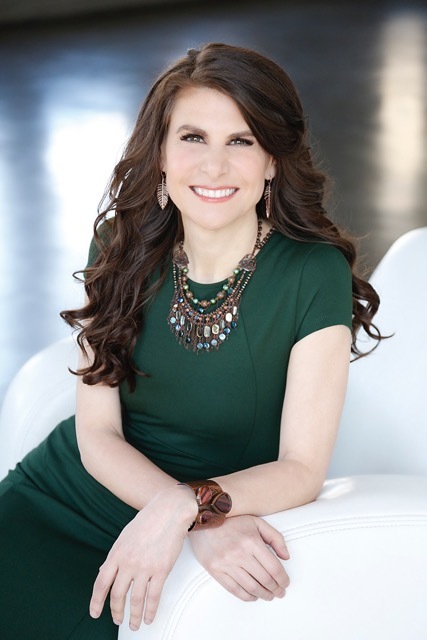 She's been a guest on Good Day Street Talk on Channel 5 in NYC, ABC6 TV, Fox News Strategy Room and WFMZ TV as an expert in career transitions and reinvention. Topic: "How to Build a Badass Brand"
Entrepreneur, speaker and author Pia Silva is a partner and brand strategist at Worst-of-all Design where they build "Badass Brands without the BS" for 1-3 person service businesses in 1-3 day intensives. She is a Forbes contributor and has spoken at a host of entrepreneurial organizations including Goldman Sach's 10,000 small businesses, The Chamber of Commerce, Squarespace, and We Work. Her company was named top "10 Design Firms Lead By Young People That Are Changing the Way We Look at the World" by Complex. Her upcoming book Badass Your Brand: Impatient Entrepreneur’s Guide to Turning Expertise into Profit launched March 16th, 2017. Topic: "Why Entrepreneurs Need Multiple Streams of Income"
In this discussion, co-host Kerry Heaps returns for a discussion about why it's important for entrepreneurs to add additional income streams to their businesses. Lise Pape, an international businesswoman based in London, is a perfect example of bold female entrepreneurship. Lise’s business, Walk with Path, designs and manufactures assistive technology for people with mobility problems. In the UK, falls currently account for more than £2.3 billion of National Health Service (NHS) spending each year, making fall prevention an urgent public health priority. One in every three people aged 65+ falls at least once a year, with potentially devastating consequences, including social isolation, reduced quality and life and less independence. 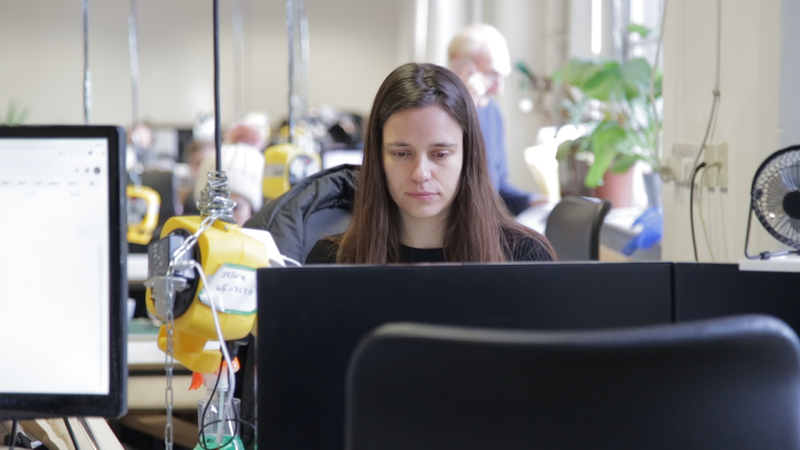 For 35-year-old Lise Pape, who has seen her father suffering from Parkinson’s for more than 15 years, issues around mobility and the risk of falling are deeply personal. Driven by a desire to help her father, and with access to researchers at Imperial College London where she was completing a double Masters in Innovation Design Engineering, Lise started studying the issues of day-to-day life for people with Parkinson’s disease and Multiple Sclerosis. Lise has been selected as a Cartier Women’s Initiative Awards finalist for the European region for her business achievements. Cartier set up the Cartier Women’s Initiative Awards to drive change by empowering women entrepreneurs. The awards alongside the Women's Forum, McKinsey & Company and INSEAD business school contribute to the global economy, by seeking out audacious female entrepreneurs who are making concrete contributions to finding effective and affordable solutions for future generations, as well as to encourage more women to achieve their full potential. 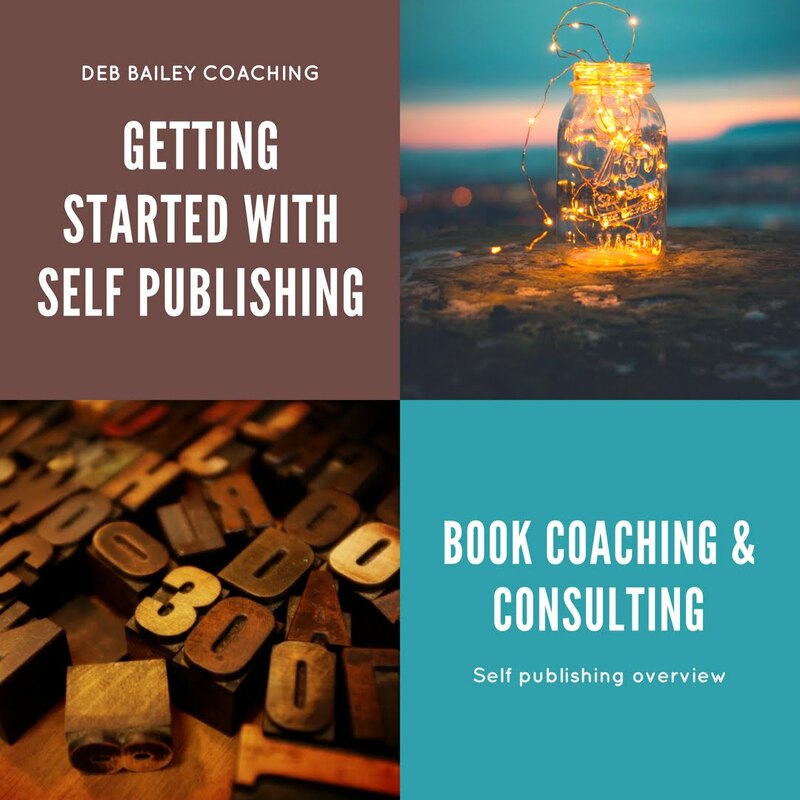 Deb Bailey: Welcome to the Secrets of Success blog, Lise! What a powerful story you have to share. How did you decide that entrepreneurship would be the right path for you? Lise Pape: Glad to be here, Deb. I started working on the products that Walk With Path are aiming to commercialise, Path Finder and Path Feel, in 2014. At the time, I was studying for a double masters in Innovation Design Engineering at the Royal College of Art and Imperial. Upon graduation, I won several small grants. These gave me the belief and drive to continue with what I was doing. I founded the company later in 2014 and have been working on it ever since. Deb: What have been some of your lessons learned? 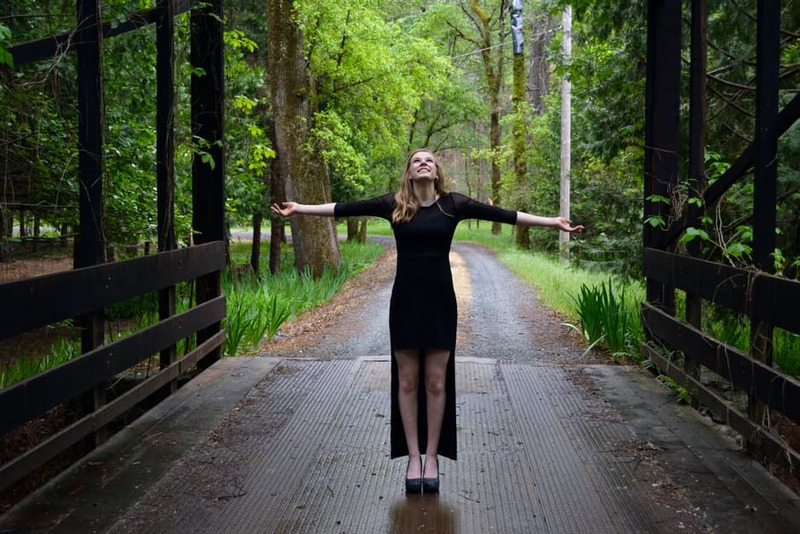 Lise: There are many lessons that I have learned. I learn every day. The breath of what you have to do as a founder is so wide, that I could not have imagined it when I started out. I founded the company by myself and was soon after joined by a friend from my studies, who was able to complement my skills. For me, one of the key milestones was being able to build a team in 2016. Having a team to work with is both inspirational and motivating. It also means that the pace of progress is much faster. This allows us to get to the next point much faster - being able to provide our products to our end users. To be able to have a team, I needed funding. This was a bigger task than I had imagined. It also took much longer. So I would suggest everyone doing a business that requires funding, to start speaking to investors as early as possible. I think it is about building relationships - even when you are not investment ready yet. Deb: That's great advice. Who are the ideal clients for your products? Lise: Our end users, such as those with Parkinson's and the elderly, will become our initial clients. From a business perspective, I think that B2B customers may be more "ideal" as they could be clients that would buy products in greater volumes. However, our end users are also extremely important, as they can help us by providing feedback that allows us to keep improving our products. Deb: Your products will certainly change a lot of lives. What have been some of your successes and challenges, so far? Lise: We have been fortunate to win several awards, which has raised our profile and provided press opportunities. The latter has led to several end users contacting us, so it is a great way to reach our initial customers. We are currently nominated for the Cartier Women's Initiative Awards, which has led to us receiving mentoring on our business plan, and press opportunities on the BBC. We have also won an award from AXA previously, who have now invited us to participate in an exhibition at Design Museum from the end of April. The challenges are constantly changing. At the moment, we are going through our first production run in the UK and China. This experience is challenging and my colleague is in China at the moment to ensure that all runs smoothly. 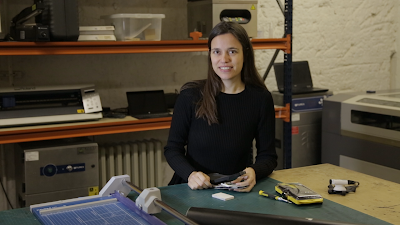 Lise: I am inspired to try and solve the problems that our products address. Seeing people who struggle with walking and how it affects them can be very disheartening. My father suffers from Parkinson's disease, so I know first hand how much it impacts the family. As a company, we are keen to do something about that, to extend mobility and provide a better quality of life. That is a major driver. Deb: I think most entrepreneurs are driven to create things to improve people's lives. Going forward, what's your vision for your business? Lise: I envisage for Path Feel and Path Finder to become readily available to the people who need them. That would mean that they are prescribed and provided as required. As a company, we are committed to doing continuous research and development. We want to ensure that our products meet the users' needs at all times. We also have several new product ideas that we are exploring, within the area of mobility and injury prevention. Lise: I would suggest to do something they are passionate about. There will be many ups and downs, and it's critical to be committed. I think it is a necessity to be passionate about what you do to keep going at all times. I think it's also important to try and set yourself targets for what you want to achieve by when. Deb: When you're not working on your projects, what's your favorite activity to relax and unwind? Lise: I enjoy cooking and baking. I usually always make something I haven't made before. I enjoy experimenting and trying to constantly make it better than last time. I have also recently picked up tennis again. It is very enjoyable, but I need to train a lot to get back to speed! Deb: Lise, this has been a very inspiring conversation. I have one last question for you. What do you wish you could tell your younger self? Lise: That's a difficult one. I would probably say to leave the types of jobs that were obviously not right, sooner. I would also suggest to pursue an entrepreneurial path earlier on. It's something I wanted to do for a while, but I did not feel like I quite had the chance or the skills to do it, until later on. 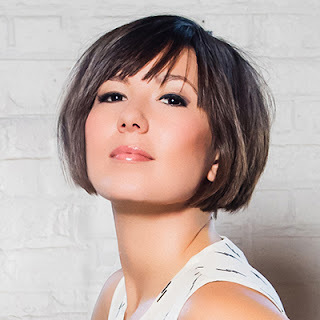 From film and television soundtracks to stage musicals to having composed music for the Los Angeles Kings, the award-winning Philadelphia native has managed to land at the top of a her profession (despite the fact that less than 1% of all professional composers are females). Now Cavallari has been tapped to write and produce the soundtrack, songs, and score for the upcoming animated feature “Jacob Marley” with animator and visual effects director Russ Francis. That goes along with her Jonathan McHugh-produced opera “The Righteous One: The Irena Sandler Story,” about a WWII hero who saved 2500 children in the Warsaw Ghetto, and her ongoing collaboration with Grammy-nominated pop producer Eric Robinson. Perhaps Cavallari’s favorite gig is her passion and dedication to ice hockey (she regularly plays left wing in a men’s league). Cavallari is also a committed vegan. While raising an eleven year old daughter with juvenile arthritis, Cavallari has also launched the Talk Foundation Project, where she records the thoughts and observations of terminally ill children. With a tireless positivity grounded in her Jewish faith, her unique professional profile is matched only by her amazing work ethic and generous spirit. We are all familiar with making lists, right? We have all made a list (bucket list, grocery list, shopping list and so on) at least once in our lives. By making lists, we can see everything clearly laid out in front of us, making it easier for us to work on those tasks. The difference about a "done list" is that you construct it at the end of your day. It gives you an overview of how you spent your time during the previous 24 hours. The process of creating a "done list" is rather simple. Once your day is over, take a piece of paper and write down the important things you have accomplished in that day. That's it. That's the whole process. Not only is it easy to make a done list, it offers a lot of benefits which can help you in the following ways. Think about what happens when you get a notification on your social media feeds. Dopamine is released and you feel good when someone likes your picture or your post. This is what makes social media so addictive, and it is exactly what happens when you create a done list at the end of the day. Dopamine is released and it makes you feel joyous and accomplished. When you see the things you have completed in a day, you will feel motivated to achieve similar accomplishments the next day. This kind of motivation usually sticks around because it's self-generated. As such, it will make you utilize each day more productively. 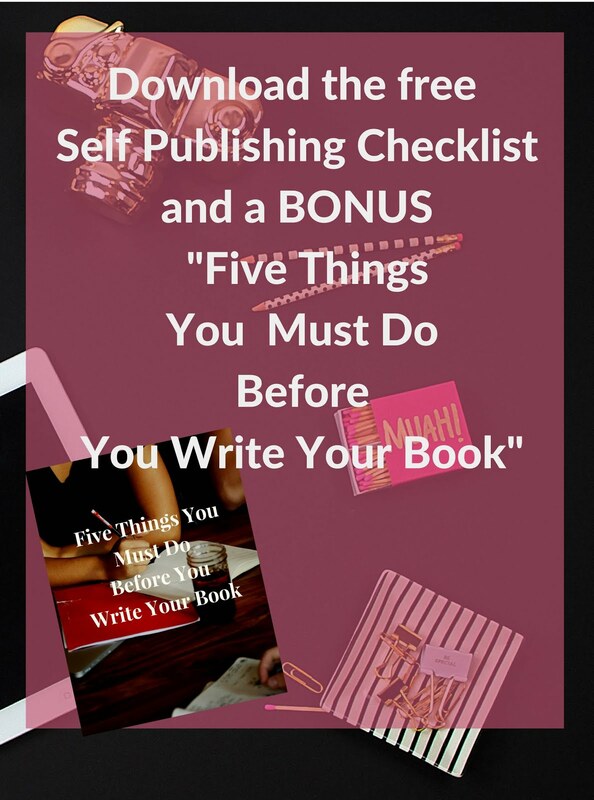 Because you know you will be writing things in your done list, you will complete tasks on which you otherwise would have procrastinated. You will want to make your list look attractive with your daily activities. 4. Builds an effortless positive habit. Anything you continue to do every single day over the long term becomes a habit. Once you experience how good you feel when you create your done list, you will form an effortless positive habit that you will enjoy adding to your nightly ritual. There are many ways you can try to become more consistently productive, but what could be better than building a consistent productive life by adopting a simple habit that gives you gratification at the same time? One of the best things a done list does is help you evaluate yourself in terms of how you are spending your time. Are you spending your time on needle-moving tasks or on trivial tasks on which you work hard but that don't produce results? If you ever find yourself in the latter group, a "done list" allows you to do a course correct and focus on those tasks that will produce a much greater impact. At times we feel we are not making significant progress on a daily basis. This is because we don't acknowledge the hard work we do every day. Writing a done list will instantly solve this problem by helping you take in success and making you feel satisfied with and happy about the effort you put in each day. With all its benefits and the promise of accomplishing more, there is no harm in trying this simple hack. Why not give it a try? Shall we? Check out the "Custom Design Your Day Planner" a daily and weekly planner focused on goal-setting, managing everyday energy, boosting productivity and measuring progress that will soon be available for pre-order at https://inspiredawe.com. Priyashaa Ghos is an MCA, App Developer and the founder of INSPIREDAWE.